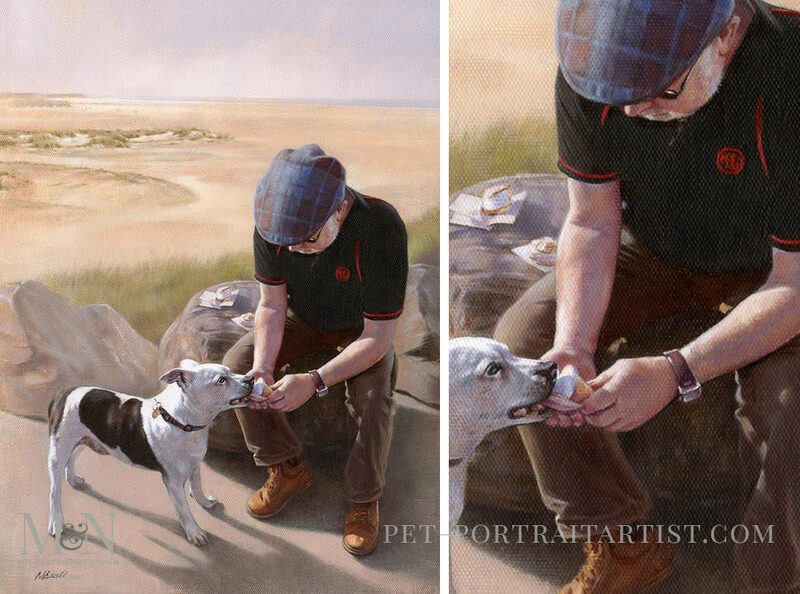 Welcome to the Pet Portrait of Les and Alfie. 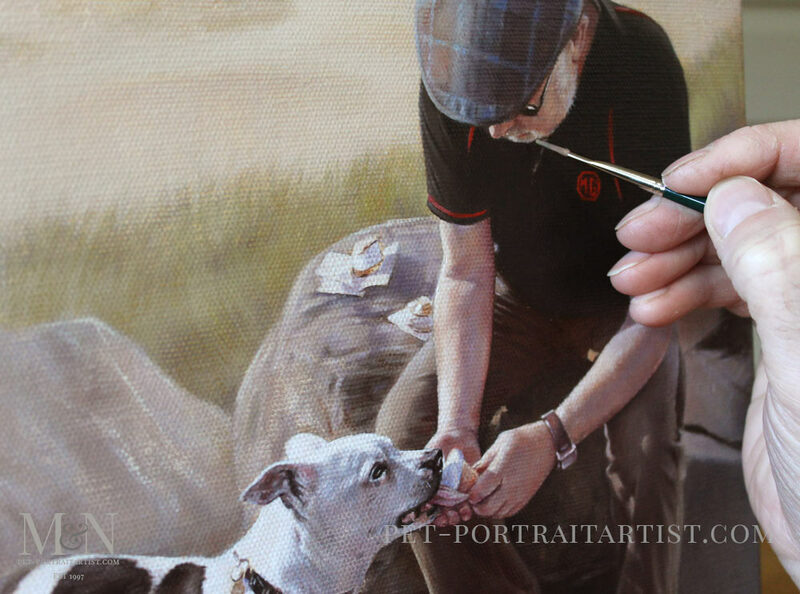 Kerrie and her mum emailed us to see if we would be able to paint a portrait of Kerrie’s dad and their dearly missed and much loved dog Alfie. 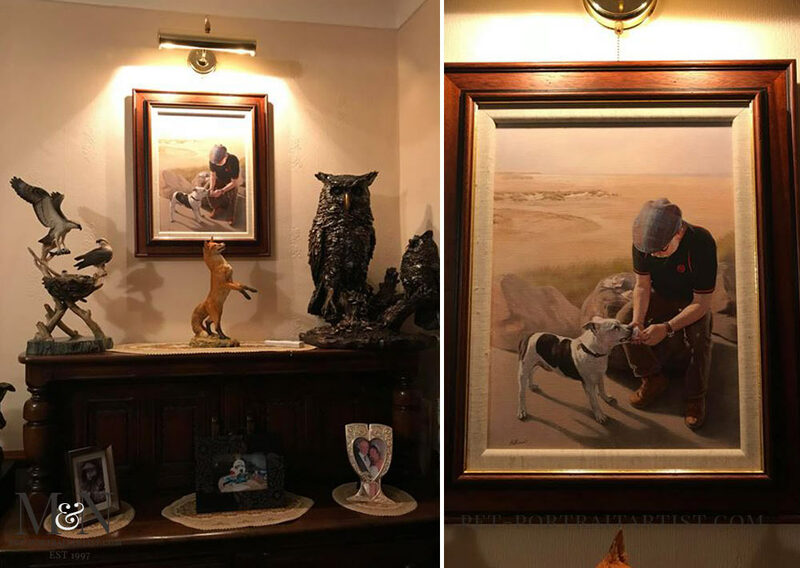 They had seen a portrait Nicholas painted of a man with his dog on a boat on our website and hoped we could create them a portrait along the same lines. Kerrie’s dad Les was going to be 65 and he was also retiring. So they commissioned Nicholas to paint a portrait for them as a joint present. Kerrie emailed us their favourite photo of Les with Alfie however they were sitting in a car park. We chatted at light what we could add in the background and we came up with a beach scene, not far form where they live that would mean a lot to Les as it was where he would walk Alfie on occasion. So after creating a mockup, and perfecting the design, Nicholas paint the portrait that you can see below. 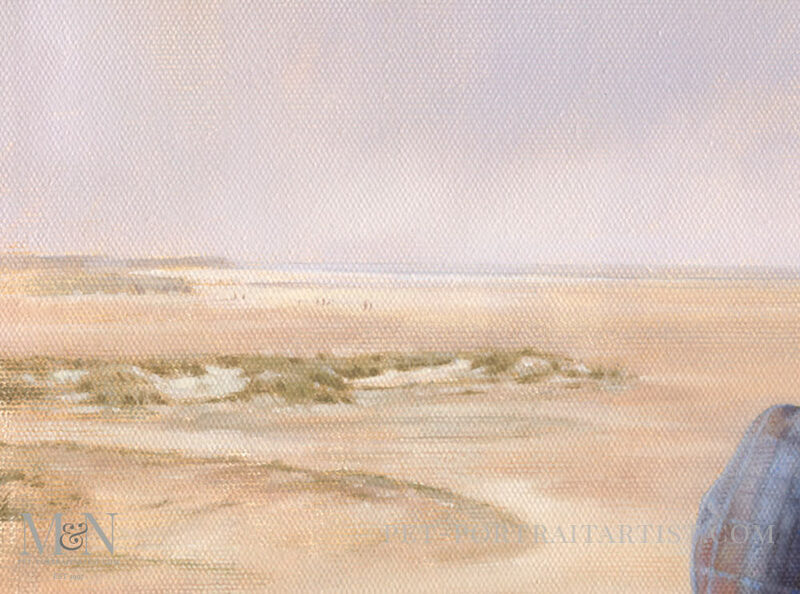 The portrait has been painted in oils on Italian linen canvas at 16 x 12 size. 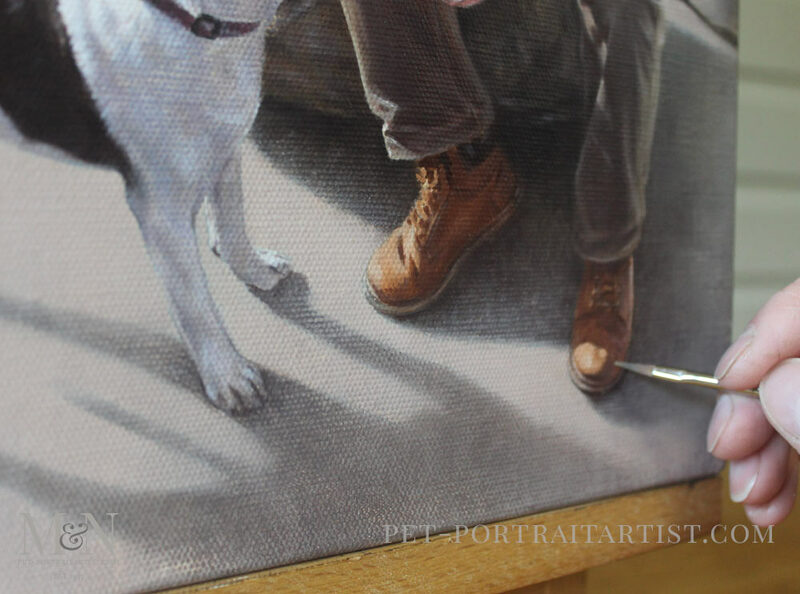 I have added some photos of the portrait with Nicholas’ hand holding his brush. Our readers can see the scale of the painting. The portrait was also framed using our traditional flat frame too with inner linen slip. If you scroll down you can see photos, including some Kerrie took when the portrait was displayed on their wall. Les was over the moon with the painting. here are some close up photos of the portrait with Nicholas’ hand on to show scale. What an absolutely stunning portrait! What a wonderful gift to give to someone. All I can say is WOW! !